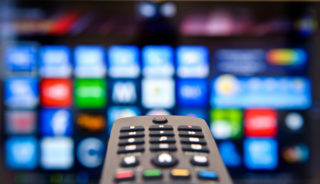 A Hartlepool man who sold illegal internet TV boxes that allowed pubs and clubs to screen pay-to-view TV free of charge has received a suspended prison sentence and been ordered to pay £250,000. Malcolm Mayes, 65, of Egerton Road, received a ten-month prison sentence suspended for one year when he appeared at Teesside Crown Court yesterday (Monday 6th March 2017) and admitted breaching the Copyright, Designs & Patents Act 1988 by advertising and selling adapted IPTV boxes. 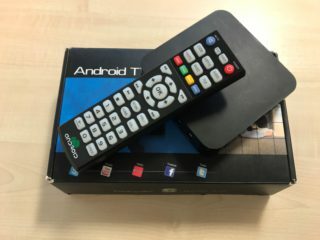 IPTV boxes – sometimes called ‘Android’ boxes or ‘Kodi’ boxes – allow users to watch television and movies streamed via the internet. The boxes themselves are not illegal but when modified can be used to freely view content that should otherwise be paid for, including live sport and new movies. A box modified in this way is often described as being ‘fully loaded’. Mayes was prosecuted by Hartlepool Borough Council’s Trading Standards department following a lengthy international investigation by the National Trading Standards North East Enforcement Team following a referral from FACT. Ian Harrison, Trading Standards & Licensing Manager for Hartlepool Borough Council, said: “The cost of this case has been significant to Mr Mayes. In pleading guilty, he has accepted that it is illegal to sell a device that allows the free viewing of pay-to-view television. This is common sense and should be obvious to anyone. Mr Mayes should not be seen as a Robin Hood-type character. In selling these devices he wasn’t stealing from the rich to help the poor. He was stealing to make himself richer. “In addition, many of the pubs and clubs that bought his devices lost significant amounts of money when they failed to operate as promised. Lord Toby Harris, Chair of National Trading Standards, said: “Mr Mayes knowingly sold these illegal boxes which breached copyright law, misleading small businesses by falsely claiming that these devices were legal. I hope this conviction sends a clear message that criminal activity doesn’t pay. 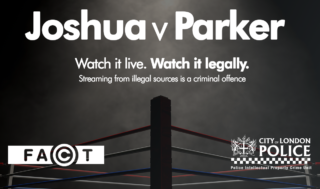 Kieron Sharp, Director General of FACT – an intellectual property protection organisation, added: “Today’s sentencing sends out a strong message to anyone involved in the sale of illegal IPTV boxes that crime certainly does not pay. “Pre-configured TV set-top devices allowing access to premium pay-for channels without a legitimate subscription are illegal and we would like to thank Hartlepool Trading Standards for their action on this case following a referral from the Premier League and FACT.